Music’s changing fast: FAST’s changing music! The FAST EPSRC Programme Grant – Fusing Audio & Semantic Technologies for Intelligent Music Production and Consumption – led from Queen Mary is looking at new technologies to disrupt the recorded music industry. As well as the team from QM, we will showcase some of the work from partners Nottingham and Oxford, and we hope that by the end of the FAST Industry day, you’ll have some idea how AI and the Semantic Web can couple with Signal Processing to overturn conventional ways to produce and consume music. 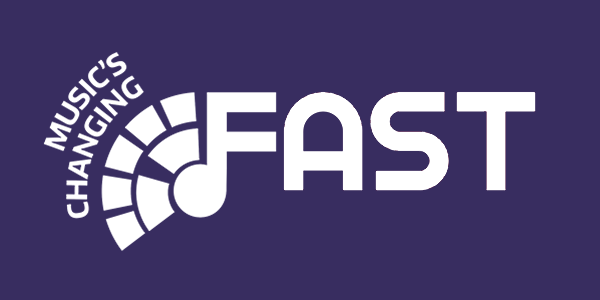 Along the way, you’ll be able to preview some cool new ideas, apps and technology that the FAST team will be showcasing to industry. Florian Thalmann, Centre for Digital Music,Queen Mary University of London and Tracy Redhead, The University of Newcastle, Australia. Florian Thalmann, researcher at the Centre for Digital Music and Tracy Redhead, a musician and researcher, will showcase two works that were created as part of a FAST artist residence and collaboration. The works utilise the semantic player technology to demonstrate the potential of using semantic web technologies in future music consumption products. In particular, the works are instances of dynamic music which includes music that changes with the listeners context, offers ways to interact, or is composed using generative and algorithmic material. The first work is influenced by the weather, time of day and location of the listener, whereas the second work will sound unique in all locations globally. This talk will outline the Audio Commons Initiative which addesses the challenges associated with using creative commons content in the professional audio production environment. The talk will highlight advances in Semantic Audio made in the EU funded Audio Commons project. The Carolan Guitar is an instrument that can tell its own story. Carolan uses a unique visual marker technology embedded in its decorative patterns that enables the physical instrument to tell the craft of its making, show the players that have performed with it, the places it’s visited, and the many songs it has sung. Play it Again! Use it Together turns an archive into site of production by ripping out-of-copyright sounds from 78 rpm records to generate an evolving public resource which is used as material for a series of public events with invited guests and collaborators. Performance (4:40 pm – 5:00 pm): Climb! Climb! is a classical composition that uses a self-playing Disklavier piano duetting alongside the pianist. This is controlled by software (Muzicodes and MELD) connected to the piano, which responds to phrases that the pianist plays. Projected visuals and a mobile app give more clues about what is happening. Composer and pianist Maria Kallionpää will perform Climb!.